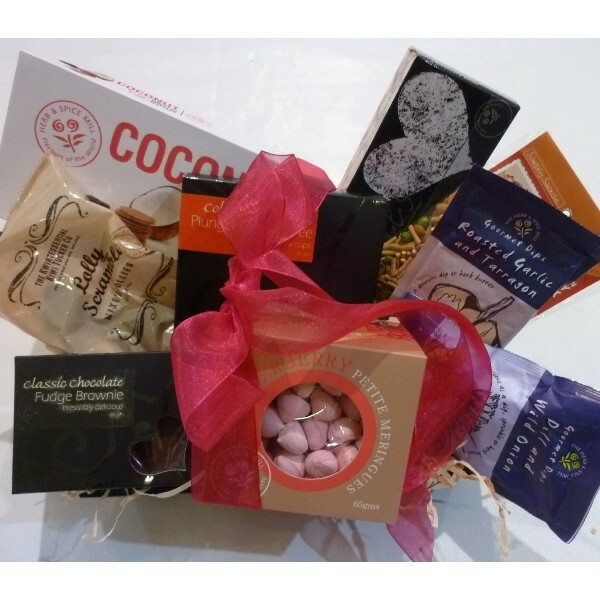 This yummy selection includes Plunger Coffee, Coconut Choc dipped Crisps, Cheddar Bites, Dips, Fudge Brownie, Lolly mix, Meringues and Snack mix. A great way to make that someone special's day. Product may vary due to avaliability. If you wish to discuss please contact us on 0800 321 439.